Christopher Klausen, the former assistant director of CBS' comedy 'Big Bang Theory,' is suing Warner Brothers Television, claiming he was discriminated against because of his age. The claim states that Klausen was wrongfully terminated from the show because of his age. 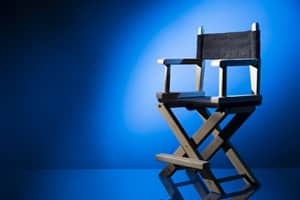 Now 55, the industry veteran worked as an assistant director for seven years, with what his claim describes as "an outstanding performance record. Nonetheless," it adds, "Mr. Klausen was [the victim of] discrimination, repeated demotions, and eventually terminated." Klausen says that the demotions started when he turned 50, at which point he claims the crew conspired to push him out of his job. When he confronted the show runners and asked why his duties were being reassigned, he was told that some of his younger colleagues "related to the actors better." One of the assistant directors given some of Klausen's responsibilities was Nicole Lorre, who is the daughter of Chuck Lorre, the show's creator. Klausen was eventually fired in April of 2015 after finishing filming the show's eighth season. He was told his termination was due to "performance reasons." Workplace discrimination is a serious issue. If you believe you, a colleague, a client or a friend have been treated unfairly because of a disability or other issue, submit your claim to the workplace discrimination attorneys here at The Meyers Law Firm. Our staff will review your case and help you determine your best course of action.